We specialise in the design, installation, testing & commissioning of Fire Detection & Alarm Systems. 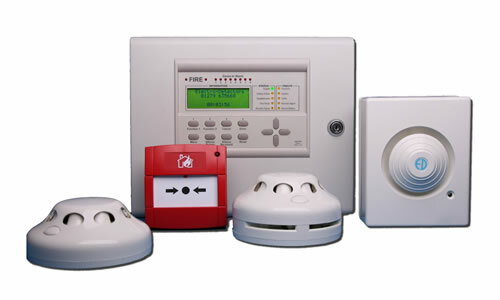 We also supply servicing of fire alarm systems in accordance with Irish Standards (I.S. 3218). It is the responsibility of the employer that the fire detection and alarm system is checked in accordance with Health, Safety & Welfare At Work Act 2005. Section 11 of the 2005 Act states that employers are required to prepare and revise adequate emergency plans and procedures and provide the necessary measures for fire fighting and the evacuation of the workplace. With this in mind, it is crucial that the employer, or a designated employee, to check the fire alarm weekly and has a service agreement with a competent person to service the system. Supply & Commission of Fire Detection & Alarm Systems is also available for electrical contractors.